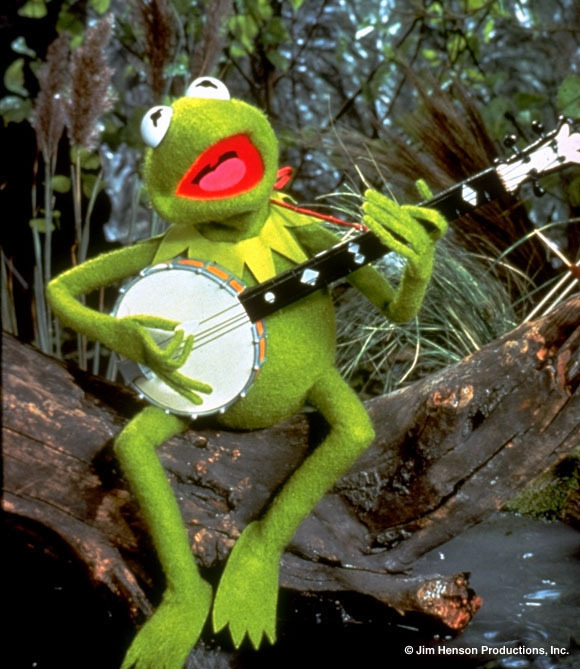 As the Muppet Movie opens, Kermit sings this song in his swamp. A Hollywood agent rows by and, true to the song "The Rainbow Connection", Kermit decides to pursue his dream. Kermit is off to Hollywood to make people happy. Along the way, other muppets join Kermit. As often happens, they face obstacles. Their van breaks down so the Muppets won't be able to make the auditions in Hollywood. Now Kermit feels guilty so he goes off by himself and (literally) confronts himself. He figured out that, though he may have inspired the other Muppets, each of them believes in the dream and that's their choice. Meanwhile Gonzo sings "I'm Going to go Back There Someday" with the other muppets. I know they're wrong; wait and see. when wished on a falling star? It's something that I'm suppose to be. almost unreal yet; it's too soon to feel yet. close to my soul, and yet so far away. i'm going to go back there someday. sun rises, night falls; sometimes the sky calls. is that a song there; and do i belong there? i've never been there; but i know the way. we'll both be completely at home in midair. we're flying, not walking, on featherless wings. we can hold on to love like invisible strings. there's not a word yet; for old friends who've just met.